Chef Vanessa Marx was born to be in the kitchen. She whips up mouth-watering dishes from locally sourced ingredients; think organic veggies, free-range meat and Fairtrade chocolate as well as coffee—from the Magic Herb Man aka Steve Botha, a micro-greens fundi, to the Happy Hog Butchery, a free range pig farm near Ashton. Vanessa is clearly passionate about ingredients. 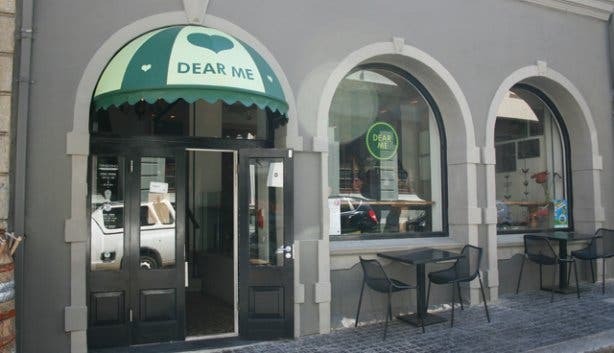 It’s no mistake that Dear Me’s logo resembles an award: “It’s about treating yourself, giving yourself a gift,” explains Ronel Smidt, general manger. The concept isn’t new – they source seasonal ingredients and create the day’s menu around what they have—however it’s the execution that sets them apart. “People think we’re a health shop or some kind of seed bar but it’s more about living a happy life,” says Ronel. This stylish brassiere doesn’t serve health food as one commonly thinks of it, instead, what is usually a chef’s worst nightmare—people with food intolerances and allergies—they cater to happily. 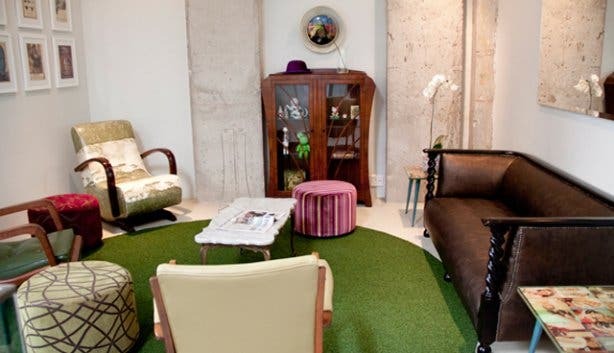 You won’t find limp salad leaves and shots of wheatgrass here: but you will be able to get utterly delicious meals that can be adapted for vegetarians, vegans or people with wheat, gluten or lactose intolerances. Vanessa is extremely accommodating and will be happy to adjust a dish to suit your particular needs. 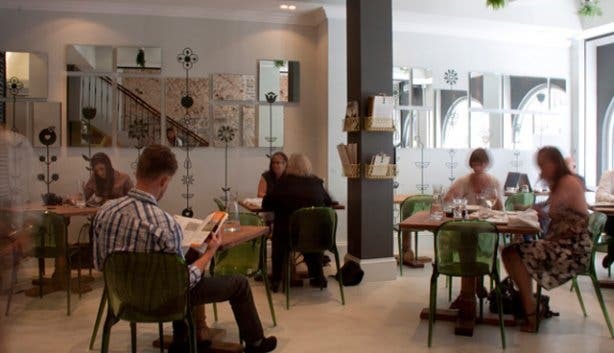 Vanessa and owner, Ilze Koekemoer have succeeded in creating a beautiful space with exceptional food. 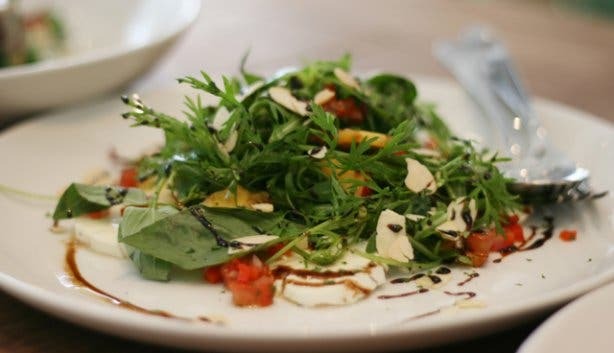 We struggle to narrow down our lunch choices from the delectable menu, but eventually decide on the Buffalo Ridge mozzarella and nectarine– a beautifully fresh, colourful salad. Next up we share the seared pole-caught yellowfin tuna Niçoise(Dear Me is SASSI sussed so you can order fish guilt-free). Then it’s on to the slow-roasted pork neck with sweet potato dumplings – an absolutely sublime combination of flavours. The unusually prepared pork is wonderfully smoky and soft, the dumplings, delicious and everything on the plate comes together brilliantly. I can’t quite manage dessert, but I will be going back to try the Valrhona Fairtrade chocolate fondant made with berry sorbet. It’s the small details that make this a special space: like the planters hanging upside down from the ceiling as well as the water that’s brought to every table (they filter it themselves and you can choose between sparkling or still). 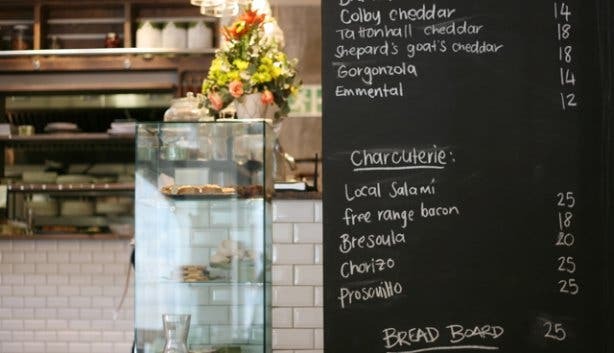 Dear Me also has an intriguing list of cheeses and charcuterie for you to take home—and treat yourself there. 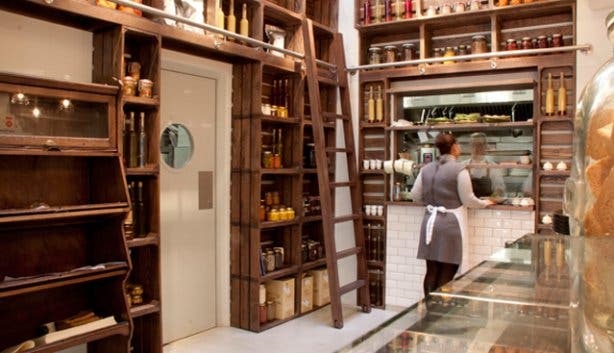 Plus, towards the back of the shop are bottles of preserves, dressings and sweet treats all lined up amongst cookbooks on dark wooden shelves. 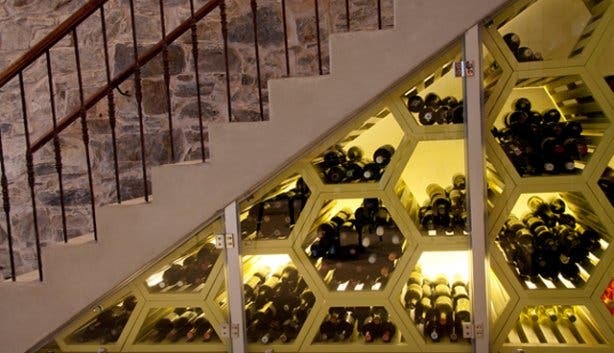 It’s like discovering the ultimate kitchen pantry. And, all the products sport the signature award: to remind you that you deserve the very best. 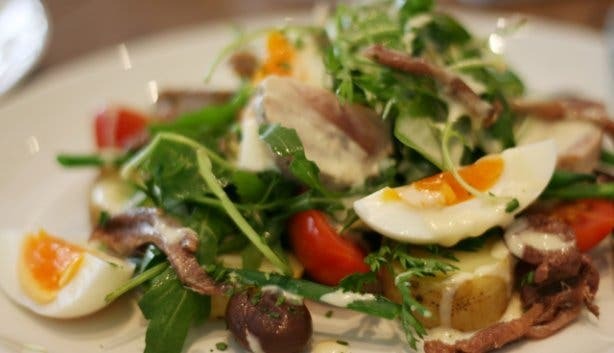 They’re open every day during the week for breakfast and lunch, but if you work on the other side of Cape Town and are dying to try their food, then book for one of their weekly Thursday or Friday dinners. Served upstairs in the elegant White Room the menu is different each week depending on what ingredients are available. Past favourites include the slow-roasted tomato and artichoke tagliatelle as well as the orange and almond torte.